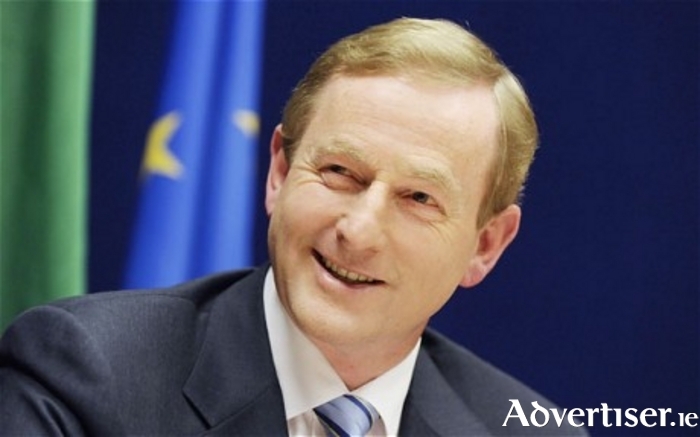 After one of the most testing weeks in his tenure as Taoiseach and indeed leader of the Fine Gael party, An Taoiseach Enda Kenny has said that he will outline his plans for his departure from the leadership of his party once he completes his trip to the United States over the St Patrick's Day holidays. Mr Kenny will be in Washington DC on Wednesday March 15 and Thursday March 16, with his meeting with US President Donald Trump scheduled for Thursday March 16. Mr Kenny informed the members of the Fine Gael parliamentary party on Wednesday evening in a short speech that he would let them know next month when he intended to step down, with it expected that he will step out of the position by April at the latest. Following on from last week's controversy that almost brought down the supply and confidence agreement between Fine Gael and Fianna Fáil, and with it the current Government, the pressure had been on the Taoiseach to tell his party when he would be stepping down, having previously said that he would not be leading them into the next general election. With Mr Kenny not contesting the next general election in Mayo, it leaves one seat open in the county and with Kenny claiming almost 21 per cent of the first preference vote in Mayo last time out, who Fine Gael put forward to replace him, will be a hot topic of conversation in political circles around the county. The massive first preference vote he received, will have been given a large bump by the fact he was the sitting Taoiseach and whoever is put on the ticket to replace him, will have hard task in attracting anything like that sort of vote. Page generated in 0.1517 seconds.